Sign Text - What do you want the sign to say? 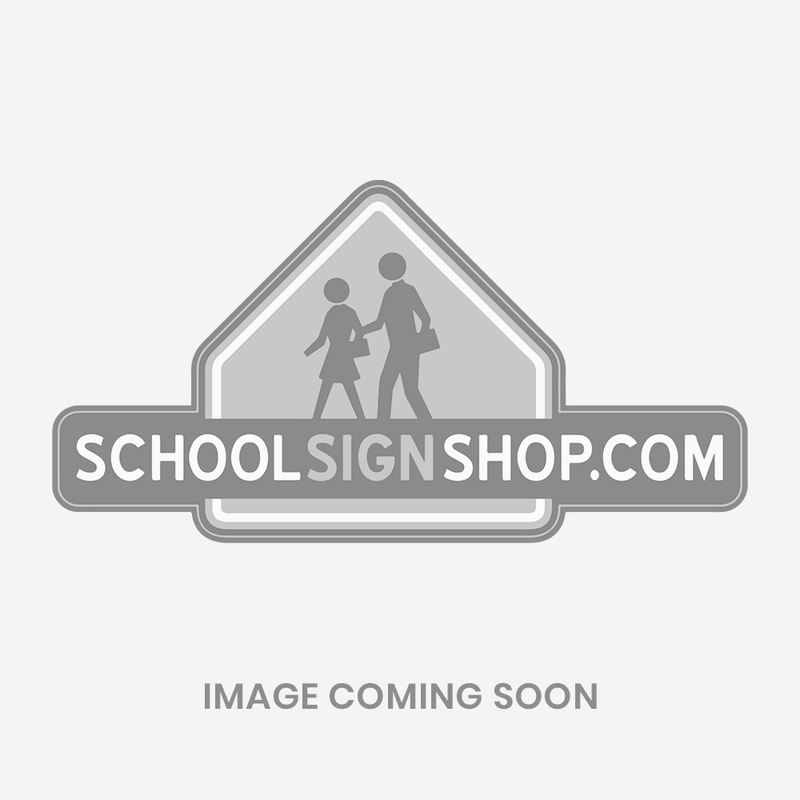 Special Instructions - Anything else we need to know to build your sign? A great way to point people in the right direction and get messages communicated. Extremely useful when positioned at school entrances, doorways and parking lots. Constructed from durable, weather and fade-resistant blow-molded plastic with a 20lb. recycled tire rubber base, made to last in a rough school environment. Their wind-resistant shape allows for use even in windy and bad weather conditions. Signs are 44" tall and have a molded handle which ensures easy mobility. Printed on reflective vinyl on both sides.